A sampler is a demonstration of embroidery skills, and often includes an alphabet, various motifs, and a variety of stitches. In this 1.5 day workshop, students will learn a variety of basic and advanced embroidery stitches to complete a unique embroidered sampler. Students will be provided with sampler pattern inspired by early American folk samplers – or, if they wish, students can design patterns of their own as a stitching guide. 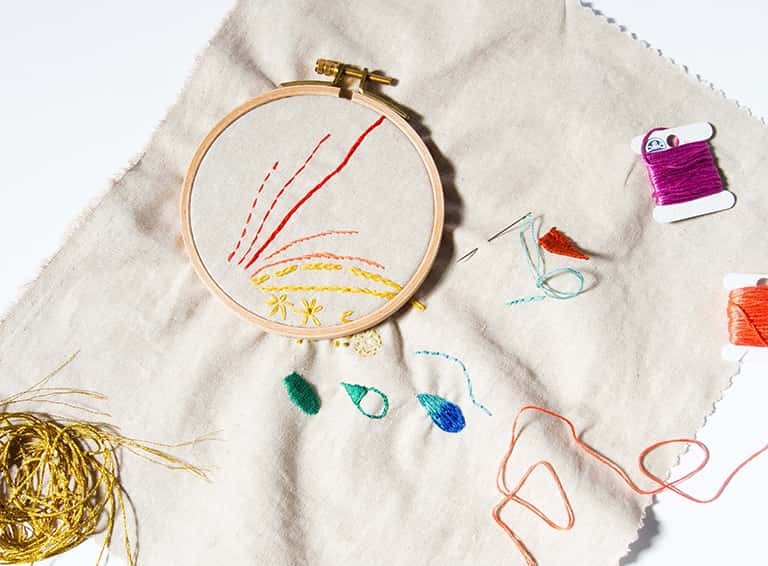 By the end of the workshop, each student will have learned and practiced many embroidery stitches, with a finished, or in-process sampler to take home as inspiration or frame-worthy artwork!